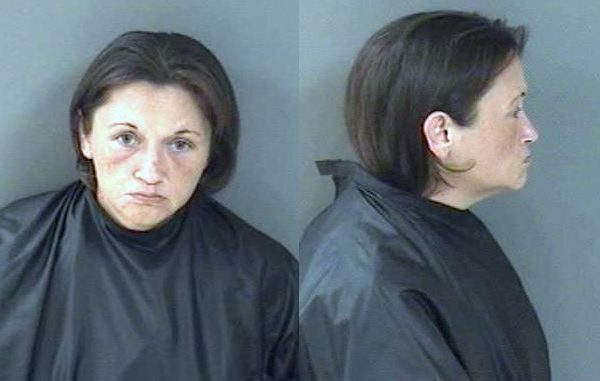 Woman takes juvenile to help shoplift at Walmart in Vero Beach. VERO BEACH – A 38-year-old woman was arrested at the Walmart store in Vero Beach after she and a juvenile were caught shoplifting. Jessica Lynn Ansel and the juvenile were seen at the self-checkout by two loss prevention associates. While the two suspects scanned 20 items totaling $80, they didn’t scan 36 items that totaled $333. A deputy made contact with Ansel who said she thought all the items were paid for when she checked out. But, she said she “did not have the money to pay for all the items with her,” according to the report. The juvenile said she scanned all the items and placed them into the bag. But the deputy reviewed the store’s surveillance video which proved that not all items were scanned. The video showed that Ansel and the juvenile were working together near the self-checkout. Ansel then admitted that she brought the minor with her to Walmart to shoplift, the report said. The video showed a stack of clothes still left in the shopping cart as they left the store and passed all points of sale. The two subjects were stopped outside by the two Walmart associates. Ansel and the juvenile were arrested and transported to the Indian River County Jail where they were charged with shoplift. The juvenile was then transferred to another facility in Ft. Pierce.